Vacation requests seems like a simple thing at first, but turns out to be a complex issue that needs proper management. Whole support team is taking vacations on a same day, leaving customers without support. Team member gives you a 1-day notice on upcoming vacations – and her flight is already booked. Someone leaves for a 3-weeks around the world trip 1 week before important project delivery. Vacations policy is a document describing most important company rules around taking vacations. Having proper vacation policy is especially important for startups, small teams and fast growing companies. But not be afraid, vacation policy should not by any means be complex or a long read. Im most cases it’s a simple online page or a Google Document available to the whole team. Vacation policy should clearly address all important questions related to receiving and spending vacation days. What questions you should address in vacations policy? How many paid vacation days is available to employee per year? For example, 10 working days per year. 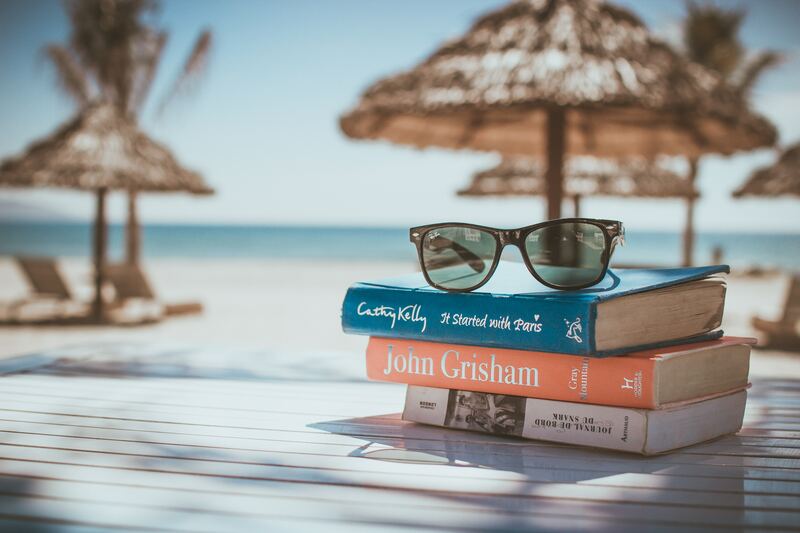 How to get additional vacation days? For example, you may give 5 additional days after 1 year of employment. How vacation days are accrued? Do you give days at the beginning of a year? Or on a monthly basis? How long a vacation could be? For example, maximum 5 working days. Do you have remote workers? Contractors? Do you treat them differently? If you have people in other country, you may want to check on local culture around vacation time, for example in Belarus standard is 28 vacation days per year. Do you allow carrying over unused vacation days to a next year? Do you set any limits on how many days can be accumulated? I once had an employee who managed to accumulate 90 vacation days. How do you prevent overlaps to always have some backup for employees currently on vacations. Do you allow “smart vacations”, for example when employee wants to frequently take every Friday and Monday off. Do you allow to exchange vacation time for money? How to request a vacation? How long in advance employee should submit a request? For example, “1 month in advance” or “at the beginning of a year”. How long this should take? How to cancel or move vacation to other dates? As you probably see – its a lot of questions! And it is much better to have all these answers in advance, so that when someone on your team has a question – the answer is just a one click away. Now when you have vacation policy in place, it is time to automate the process of requesting and approving vacations. 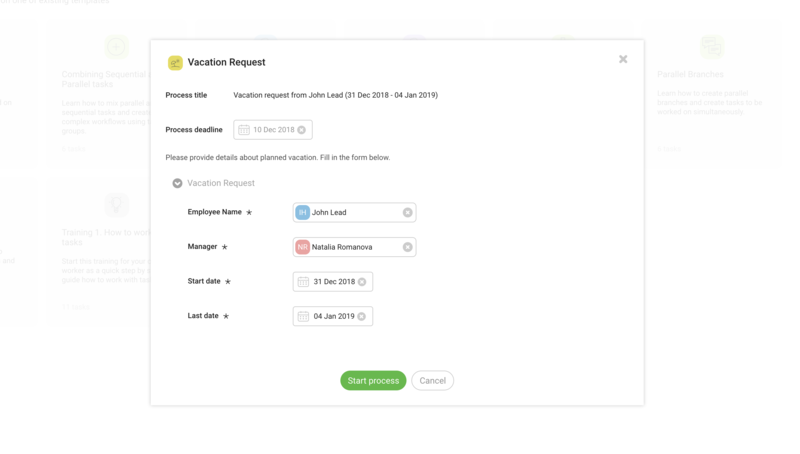 Metatask let you quickly automate any requests and approvals, including vacation requests. A typical approval process should include submitting a request and receiving approvals from direct manager and HR department. You can use a sample “Vacation Request” template from templates gallery and customise it for your own needs. And after vacation is approved by manager, HR manager will receive approval request as well. HR manager should check if person has available balance and if any other restrictions apply. Finally a task will be assigned to HR department to update available vacation days for employee, this could be done in a simple AirTable or Google Docs spreadsheet. You can also easily automate this step with a Zapier, if you feel inclined. 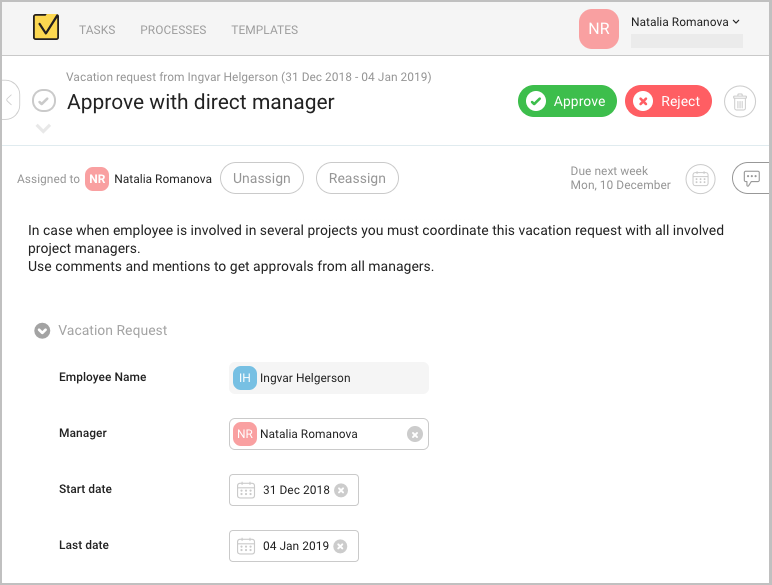 You can create this process for your team in a matter of minutes with Metatask. Onboarding of new employees, starting marketing campaigns , processing purchase orders, processing quote request, requesting vacations, advertising real estate properties, onbording new clients, approving expenses and many more.